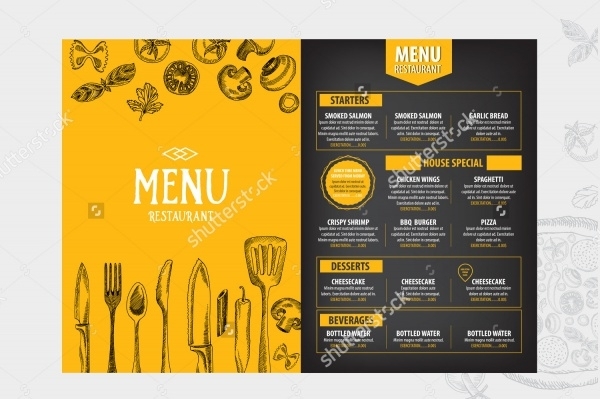 In the catering business, if your services have to work, the food and the dining experience which you offer to your clients must be unparalleled. 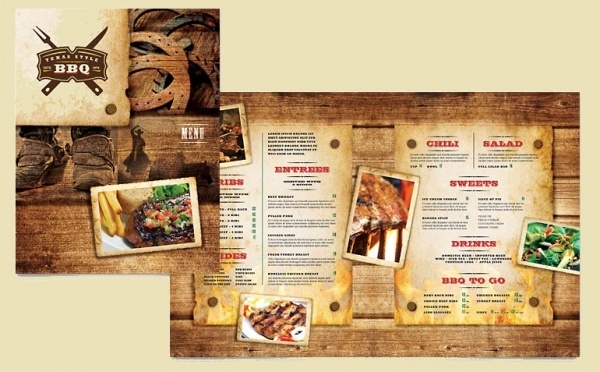 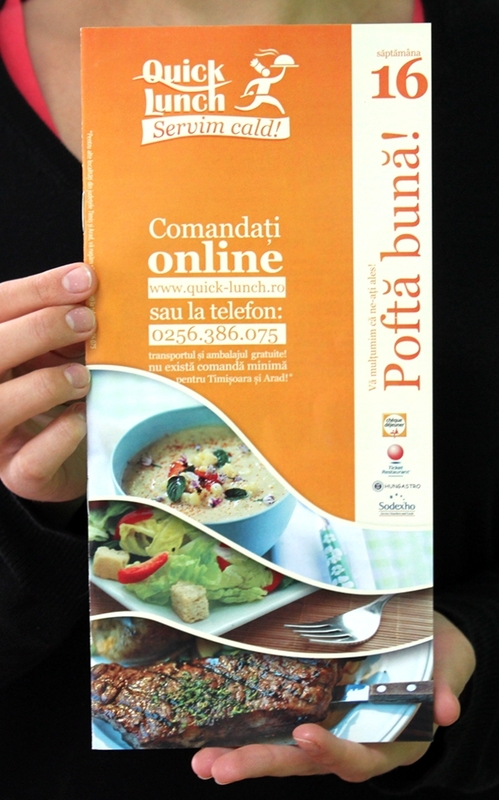 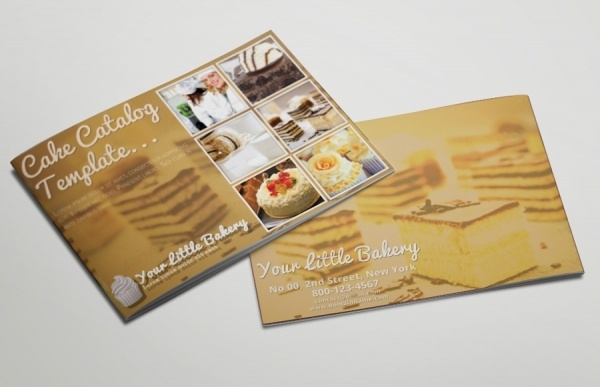 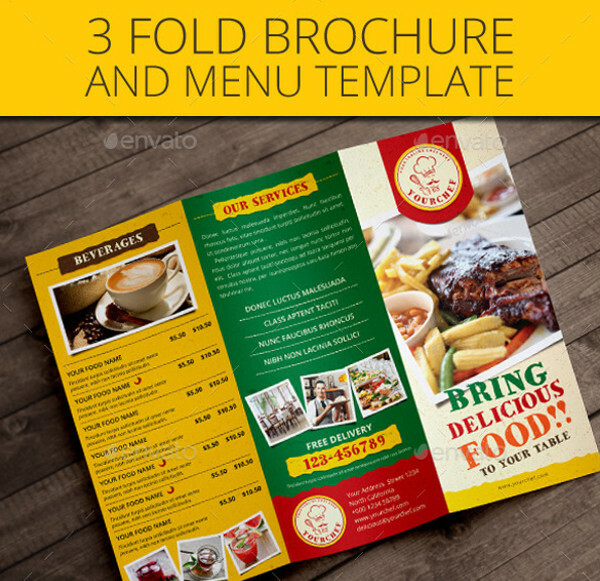 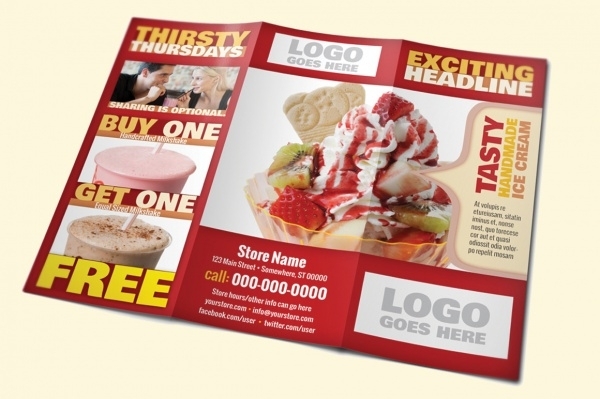 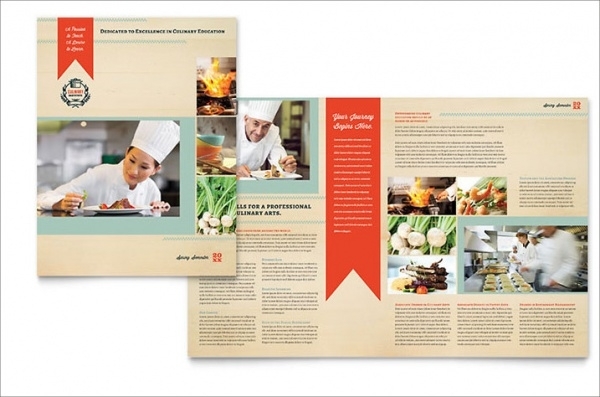 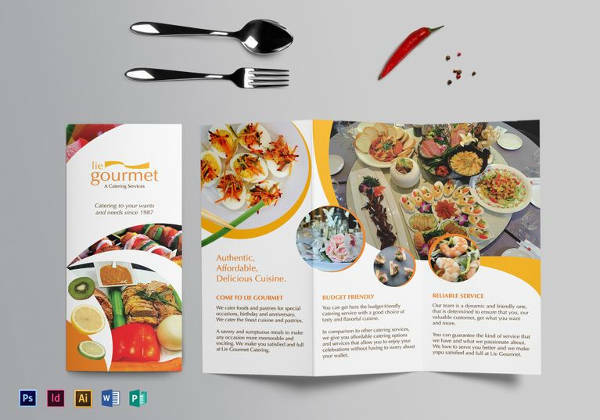 There are many ways by which catering companies market themselves, and one of the most popular tools is a brochure. 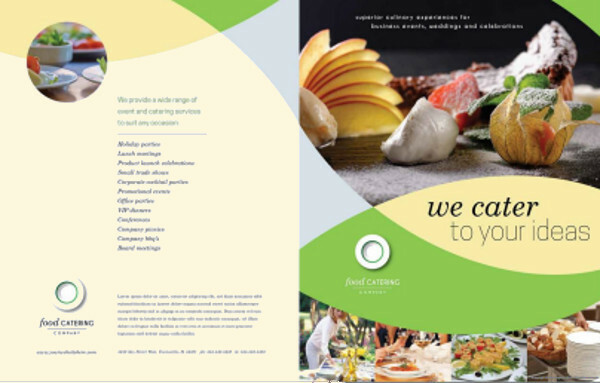 Catering brochures are a huge hit and clients absolutely love them. 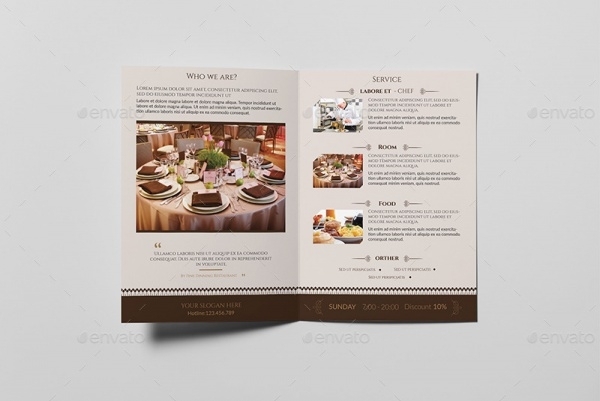 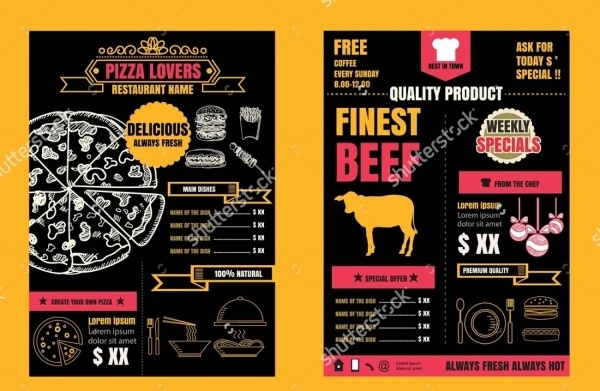 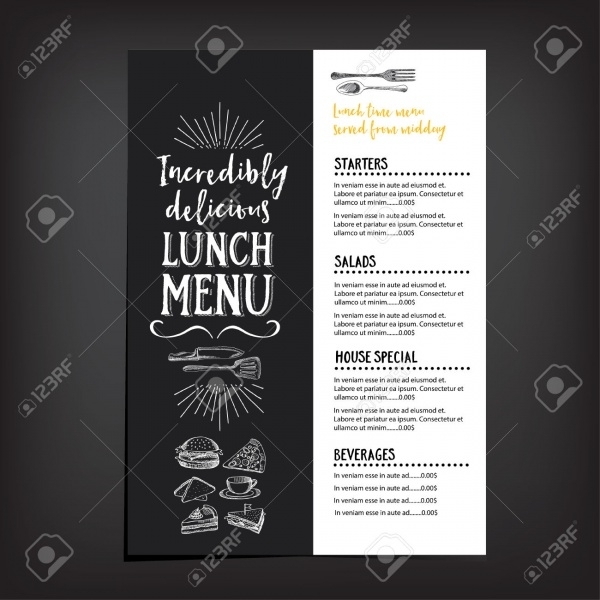 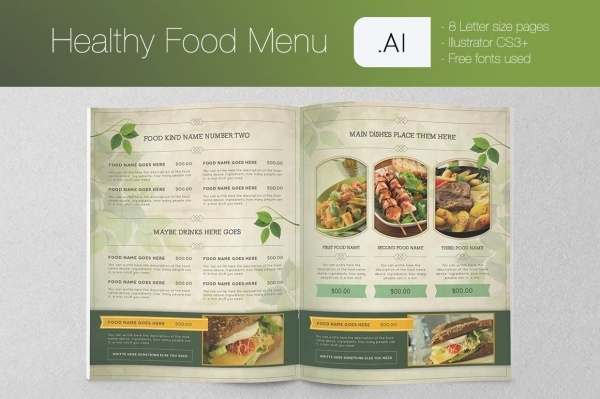 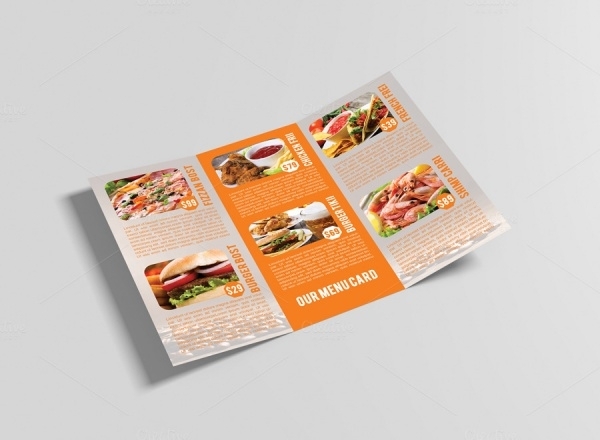 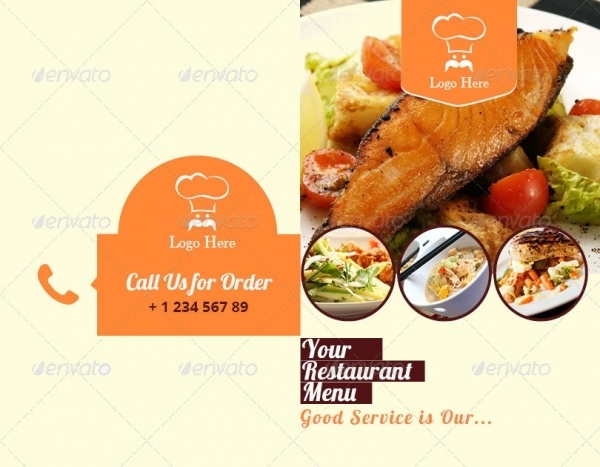 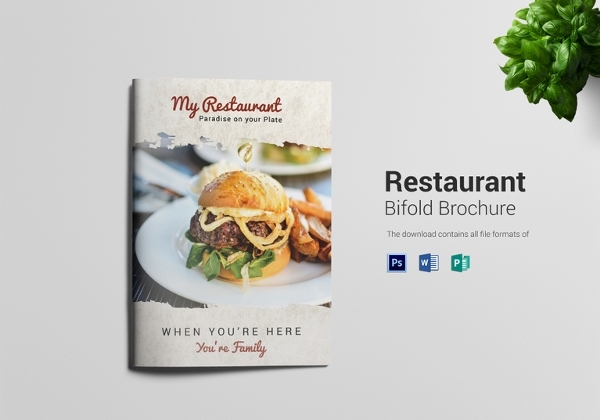 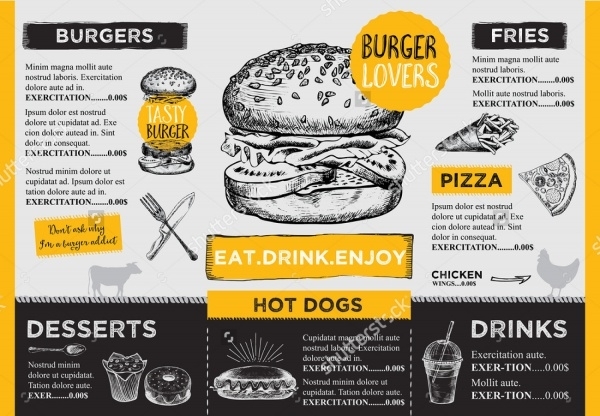 If you want to make yourself a catering source worth the client’s time and dime, your catering brochure better represent you well!You may also see Restaurant Brochures. 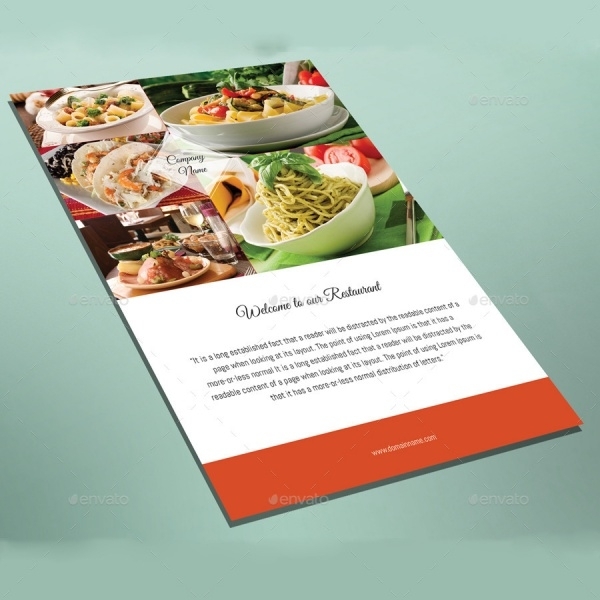 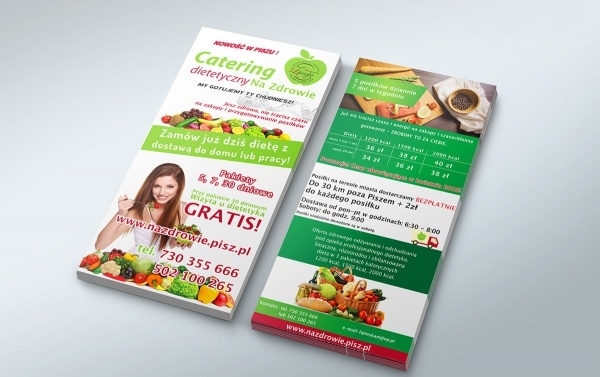 It is very important that a catering brochure make the right impact on the right people. 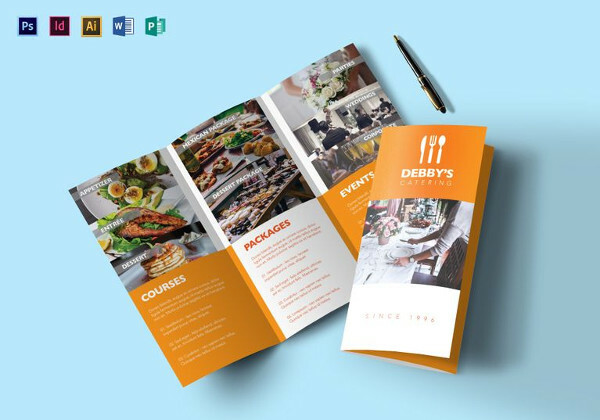 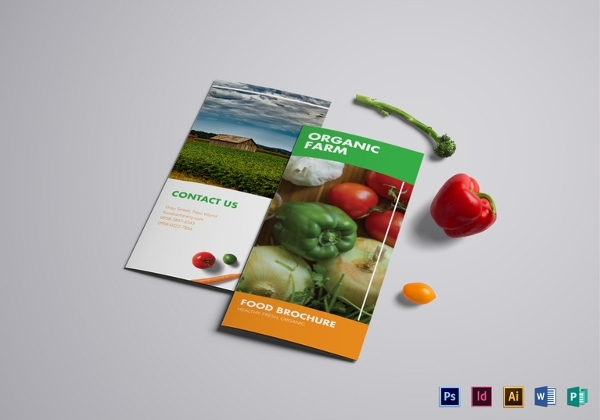 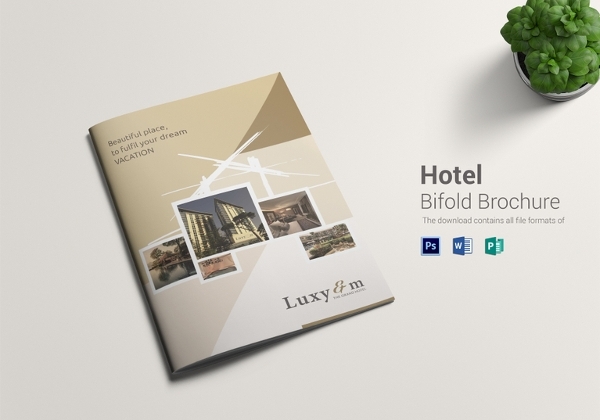 On our website we have ensured that we list the best of the latest brochure templates available in the bracket on the Web. 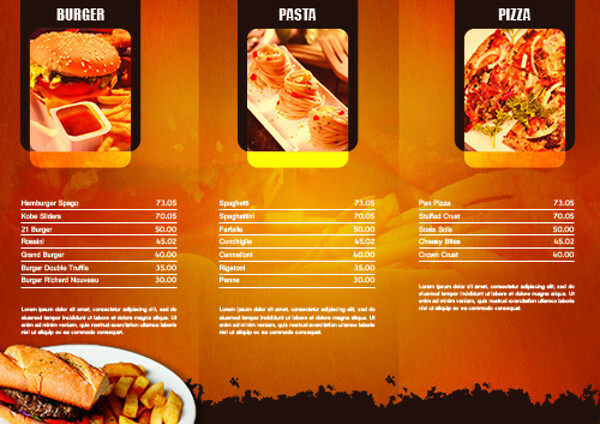 Furthermore, as you may have already noticed, we have taken care to give you options which come with just as many qualitative options. 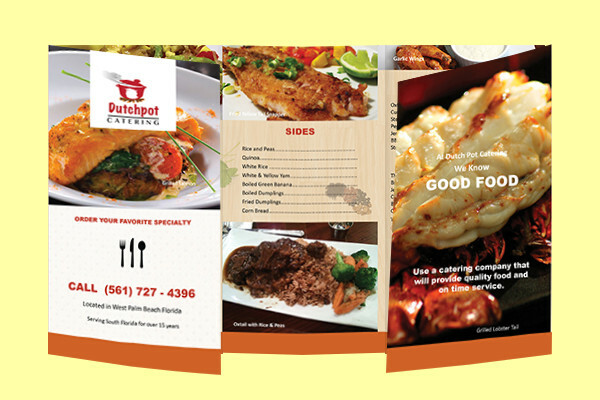 Download, customize and cater right away!